UMX Universal Link: 5/8" Heavy Duty All Plastic Parts Plain Color Wrist Lanyards - Scan-Safe Wrist Lanyards With 14-Colors In Stock. The LY-UL-WS wrist lanyards come with all plastic parts without metal hardware attachments. The plain color heavy duty universal link wrist lanyards come with 14 colors available; black, royal blue, navy blue, red, dark green, orange, yellow, pink, gray, purple, burgundy and teal colors. If you are working at labs, airports or hospitals with metal detectors for security check then our non-metal lanyards can save you a lot of trouble. The high quality, heavy duty and non-metal universal link wrist lanyards are designed for comfort to wear and scan-safe features. Not only designed for scan-safe features but also for those working at wet or salty environment to keep their name badges or ID holders at good shape. We keep large volume of inventory in stock. We can ship your order right away with any custom length! As minimum as 1 piece order are welcome! 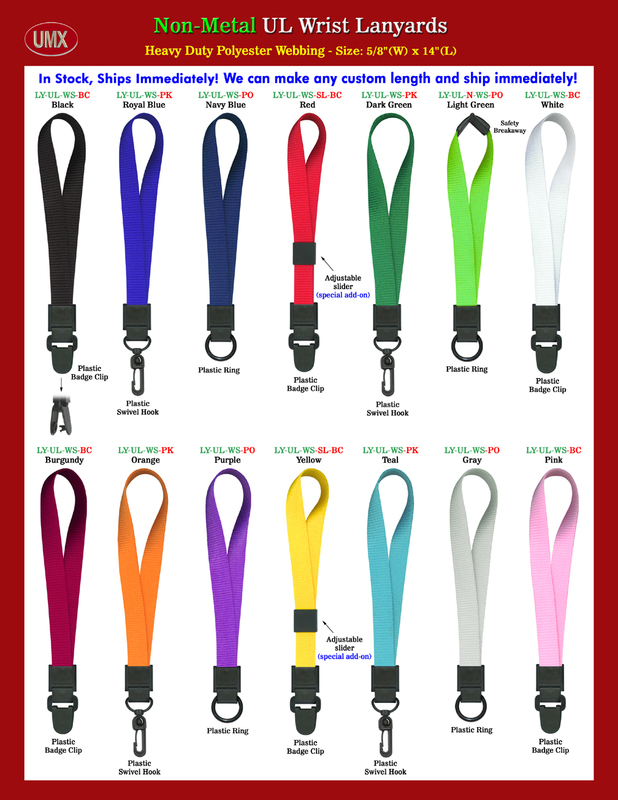 You are viewing Lanyards > Universal Link > 5/8" Heavy Duty All Plastic Parts Plain Color Wrist Lanyards.